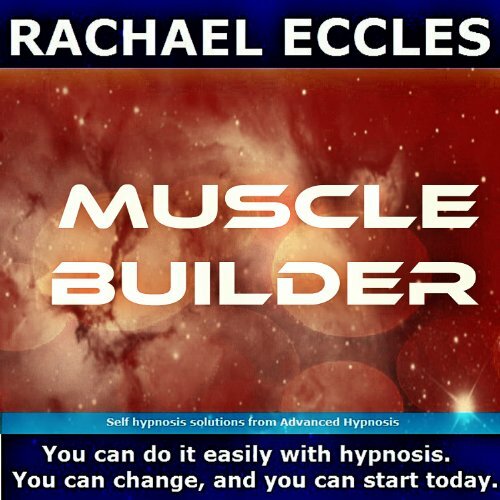 This self hypnosis session is designed to help you to build muscle. This is something that will happen if you eat right, exercise and work out hard, so some of the hypnosis session is about motivation to do that. The CD also includes complex hypnosis techniques, visualizations and suggestions to have a powerful positive effect on confidence building and positive suggestions to help you to feel good about yourself, and later it takes you to a visualization of a future you, where you are fitter and more muscular. This is motivating and empowering to help you to identify what you want and move towards it day by day. Hypnosis helps with this by inputting the right ideas, behaviors and choices into your subconscious mind so that it becomes automatic, rather than a conscious battle. Listen to the session each day if possible for 3 weeks for best effect, then use it as and when required.